Simply Swank facials are customized for the unique needs of each client. In addition to deep cleansing, exfoliation and treatment masque, each 60-minute facial includes a neck and shoulder massage. An anti-aging treatment to refresh & renew your eyes with an Ayurveda- inspired treatments that combines the botanical benefits from Aveda’s Green Science line. Helps boost collagen & minimize appearance of lines, wrinkles, puffiness, and dark circles. Add on to any facial for $20. See your eyes come alive with the vital energy of plants, and massage movements inspired by ancient healing. This treatment revitalizes by helping diminish dark circles and reduce puffiness with licorice root and coffee bean extracts and energizes specific pressure points. Add on to any facial for $20. Targeted to help problematic areas on the back such as blemishes, oily nature or dry nature skin with the use of steam, and balancing products. Our men’s facial will help renew, tone, balance, exfoliate, and address the unique skin care needs of our male guest’s while distressing. This facial masque actively smooths and retexturizes skin with the instant exfoliation and radiance benefits of a 30% glycolic peel with less of the associated redness and irritation. Add on to 15 minute treatment to any facial for $30. The Dual Exfoliation Treatment is Aveda’s latest advancement in non-invasive skin-renewing treatments. 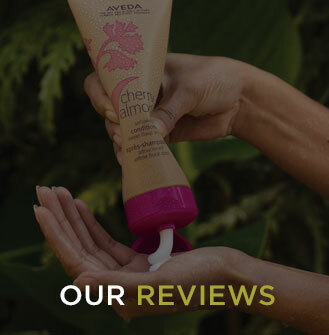 It combines Aveda’s mechanical and biochemical exfoliation methods into one powerful service that transforms the skin through the process of dual exfoliation. Improves skin texture, clarity and radiance; smoothed appearance of fine lines and wrinkles; and refined pores. Immediate and visible results after one treatment. Our express facial allows a basic cleansing, light exfoliation, and masque. Helps balance, and maintain complexion. Reduce stress, release toxins and let the world slip away in our Simply Spa. The use of a shower is available with all Simply Swank massage services. A focus on the upper extremities of the body to release tension in commonly stressed and overworked areas. Our signature massage incorporates classic Swedish massage techniques. Choose from 60 or 90 minute treatments. A massage combining Swedish Massage techniques with deep tissue massage, while using Aveda aromaology of Lavender, Lavandin, Clary Sage, Frankincense, and Vetiver, all clinically proven to help reduce stress levels. A relaxation massage that utilizes special pillows that allows lying on the belly during the treatment. Recommended for women 12 weeks plus, or second and third trimesters of their pregnancy to aide with aches, and pains associated with pregnancy. A relaxation massage that utilizes the use of hot stones as the extension of the therapist’s hands. Hot stones help to soften, and relax tight muscles, and increase circulation during treatment. For individuals seeking deep pressure beyond surface tension of the muscles to provide relief of severe tension, knots, and overworked muscles associated with high stress occupations, or recreation. Couples massages are in one treatment room with side-by-side treatment tables. Prices are representative of two individual treatments combined. Must choose 1 option for both individuals receiving treatment. Combines authentic healing therapy and powerful botanicals to nurture and restore the body and senses. A manicure to help promote, maintain, and cleanse the natural nail. Includes hand/arm massage (optional). Buffed to a shine for finish. Ages 10 & under. Nails are cleaned, shaped, moisturized, and finished with polish. Aveda manicures are customized treatments that care for the hands, specifically addressing dry, aging skin; rough cuticles; and nail health. Our nail therapists will consult with you to help you determine the body care products, and your aroma choice of either Beautify, Rosemary Mint, Stress-Fix™, or Shampure to complete your experience. Brilliant shine in a power polish that lasts for up to two weeks. Cured and set under UV lamps. Ages 10 and under. Includes foot soak, nail cleansing and shaping. Light foot massage, finished with polish application. A basic pedicure inclusive of a foot soak, brief cuticle maintenance, foot moisturizer, and polish application. A pedicure to help promote, maintain, and cleanse the natural nail. Includes foot massage. Buffed to a shine for finish. Our signature pedicure includes a soothing soak, thorough cuticle maintenance, foot exfoliation, nail shaping, cleansing, foot massage, and polish application. Aveda Spa Pedicures are customized treatments that care for the feet, specifically addressing dry, aging skin; Treatment includes soak, thorough cuticle maintenance, foot exfoliation, nail shaping, cleansing, foot massage, Aveda Sensory Journey, and polish application. Our nail therapists will consult with you to help you determine the body care products, and your aroma choice of either Beautify, Rosemary Mint, Stress-Fix™, or Shampure to complete your experience. Senior pictures? Prom? Wedding? There are plenty of occasions in which you want to look and feel your absolute best. 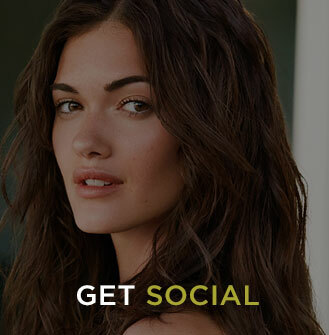 Let one of the Simply Swank makeup experts make you photo-ready with the latest in application techniques and Aveda’s reformulated makeup colors. Artificial eyelashes are also available. Experience hair removal services in our brow lounge or a more private room in the Simply Spa.